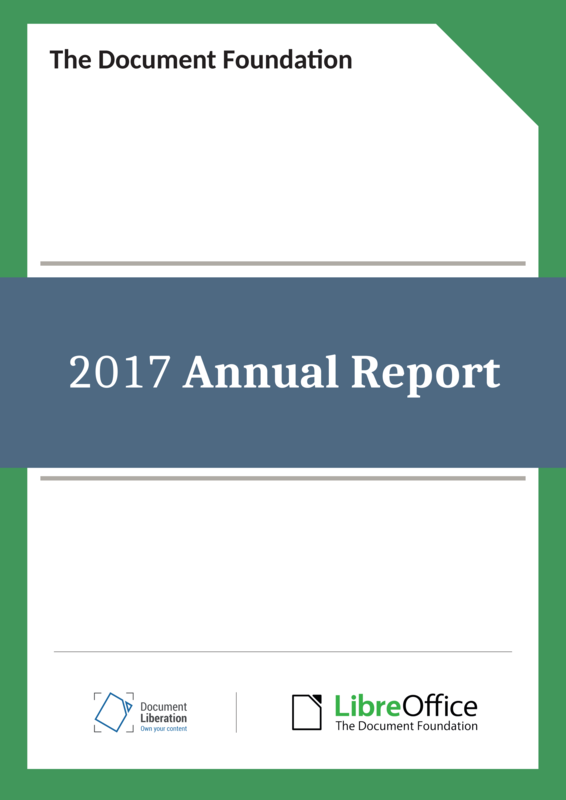 The Annual Report of The Document Foundation for the year 2017 is now available in PDF format from TDF Nextcloud in two different versions: low resolution (7.4MB) and high resolution (31.5MB). The annual report is based on the German version presented to the authorities in April. The 48 page document has been entirely created with free open source software: written contents have obviously been developed with LibreOffice Writer (desktop) and collaboratively modified with LibreOffice Writer (online), charts have been created with LibreOffice Calc and prepared for publishing with LibreOffice Draw, drawings and tables have been developed or modified (from legacy PDF originals) with LibreOffice Draw, images have been prepared for publishing with GIMP, and the layout has been created with Scribus based on the existing templates. Pictures have been kindly provided by members of the LibreOffice community from Albania, Brasil, Germany, Italy, Japan, Taiwan and Turkey. 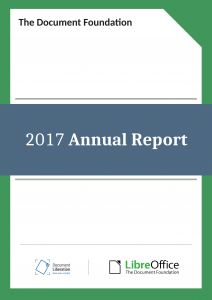 TDF Annual Report will soon be available on Lulu for print-on-demand. In addition, some printed copies will be available at LibreOffice Conference in Tirana.